More than 90 law enforcement agencies throughout Colorado are currently running heightened DUI enforcement efforts as part of the 2016 statewide Labor Day DUI crackdown. According to authorities at the Colorado Department of Transportation (CDOT), this drunk driving crackdown will run through Tuesday, Sept. 6th and will involve saturation patrols, sobriety checkpoints and other efforts. 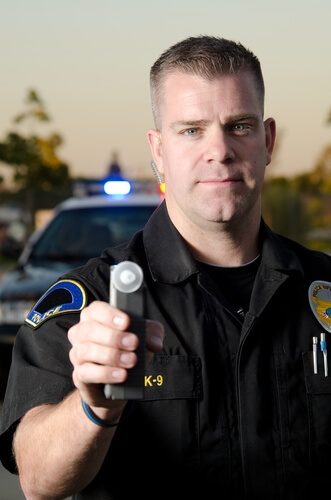 The Labor Day DUI enforcement effort is part of the ongoing The Heat Is On campaign, which involves 12 DUI crackdowns over the course of the year, with most of these efforts coinciding with national holidays. Notably, the Labor Day crackdown in Colorado is historically one of the top periods for making DUI arrests in the state. At least 50 DUI arrests are made by Colorado police every day. The DUI arrest rates make this the third leading period for nabbing drunk drivers in Colorado. Over the years, the Labor Day enforcement has taken thousands of impaired drivers off the road…Troopers from across the state will be working overtime to protect the roads from impaired drivers, ensuring Coloradans can enjoy the end of the summer safely. CDOT is concerned about impaired driving fatalities year-round, but data indicates people tend to drive impaired more in August and September than any other time of year… We ask that people plan accordingly to avoid drinking and driving. And a warning to impaired drivers on the road, law enforcement is on high alert and prepared to make DUI arrests. While the Labor Day DUI crackdown in Colorado is marked by a high rate of drunk driving arrests, interestingly, the rate of these arrests has been on the decline over the past few years. 2015 – 1030 DUI arrests (by 87 participating agencies). This declining trend in Labor Day DUI arrests in Colorado does not necessarily mean that authorities are relaxing their efforts to crackdown on impaired drivers. So, knowing that this crackdown is already underway for the 2016 Labor Day holiday, be sure to make your plans for safe and sober travels ahead of time in order to minimize the risk of a DUI arrest. And if you are accused of drunk driving (or other offenses), the single best thing you can do is contact an experienced Denver DUI attorney at the Griffin Law Firm for exceptional defense representation. If you have been charged with a misdemeanor or felony DUI in Colorado, you can turn to the Denver DUI lawyer at Griffin Law Firm for experienced, effective defense representation. With nearly 20 years’ experience in the criminal justice system, our attorney understands the complexities of the system, the challenges different defendants can face and the best ways of overcoming these challenges to bring DUI cases to the best possible outcomes. Contact us by calling (303) 280-1070 or by emailing us via the contact form on this page to receive a complete evaluation of your case, along with professional advice regarding your best DUI defense options.